Over the years, SpongeBob SquarePants has captured the minds of many children (and their parents) with his silly antics and songs. 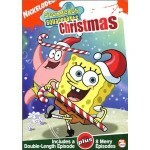 If you are a fan of SpongeBob, you absolutely need this collection of SpongeBob SquarePants Christmas episodes! There are many episodes included in here that really make it worth your while!